I just performed a complete unscientific, non-blind taste test. 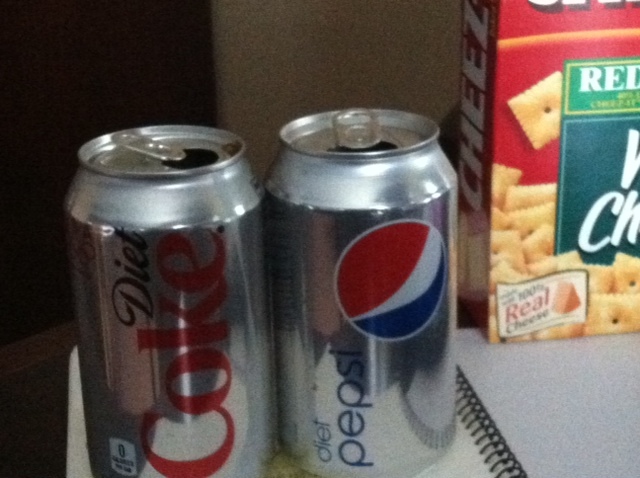 I like Diet Pepsi better. But not tons better because I just mixed up the cups and I can’t remember which is which. Neither Diet Coke nor Diet Pepsi are as good as milk with chocolate cake, however. If you would like me to perform any other unscientific, non-blind and possibly even slightly rigged opinion tests, let me know. The Cheez-Its are unrelated and had no impact on this taste test.